Peter Sagan who hails from Slovakia is a professional bicycle racer that represents UCI World Team Bora–Hansgrohe. Sagan’s achievements include Junior Mountain Bike World Championship which he won in 2008. After Sagan had won the Tour of Flander in 2016, a highly talented athlete Sagan, recently won his first ever Paris-Roubaix title. After winning this race Peter Sagan became the first contemporary reigning champion to win this title. The Paris Roubix which is 257km long is considered one of cycling’s five most prestigious races. Sagan won this race after he accelerated when only 54km were left in the race. He was joined by Dillier and the pair stayed together till the end when Sagan made his move in the final breaths of the race and overtook his compatriot to win the race. The defending champion Niki Terpstra who had won this race in 2014 failed to defend his title and finished third in the race. Sagan was pretty amazed and felt quite good about the win. 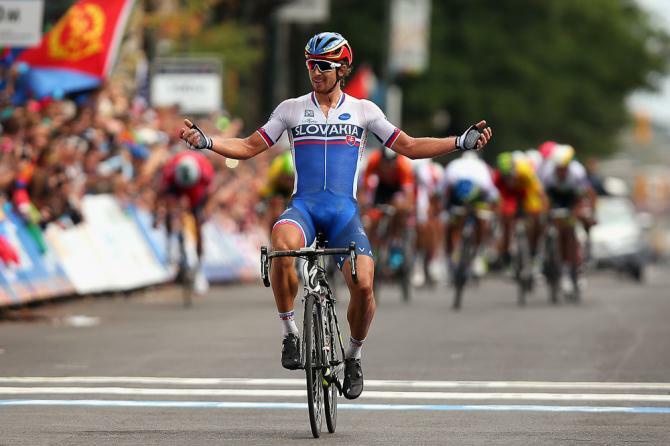 This was definitely one of the best performances of Peter Sagan till date.